After Walt Disney died, the studio he founded faltered, especially Disney animation. Following the powerhouse classics like “Peter Pan,” “Dumbo,” and “The Jungle Book” (the last animated film Walt Disney supervised personally), the animation division became mired in struggles that produced disappointments like “The Black Cauldron.” The documentary Waking Sleeping Beauty tells the story of Walt’s nephew, Roy E. Disney, executives Jeffrey Katzenberg and Michael Eisner, and a new team of animators, writers, and producers brought the studio back for another series of instant classics like “The Lion King” and “Beauty and the Beast.” The movie that was the turning point was this week’s DVD/Blu-Ray Pick of the Week, The Little Mermaid , one of my very favorites. It was a thrill to speak to the writer/director team of Ron Clements and John Musker about how it all came together. Tell me how you first started working on this movie, because this was a big transitional moment for Disney animation. RC: Well, I actually pitched the movie. This was around I think 1985. \I’m bad with dates but this was period of shortly after those kind of a big transition at Disney. Mike Eisner and Roy Disney and Jeffrey Katzenberg came. Roy Disney came back to Disney. He had left for a while. Michael had this thing called “Gong Show.” He’d come over from Paramount Studios. I guess they had that there. It was a way for generating new ideas for animated films or for any films. But in this case, animated films. So he got a group of story people and the directors together in a room. The idea was that everyone was supposed to go out and find five new ideas for animated features. Then, we would meet again in 2 weeks and pitch the ideas. They called it the “Gong Show” because if your idea was not good, it got a gong. So I took that very seriously and I looked for ideas. That same night I went into a bookstore in North Hollywood. I picked up a book of fairy tales, just kind of looking for ideas. I came across The Little Mermaid. I don’t know if I had ever read the story before so I was reading it on the bookstore. As I was reading it, I got really excited because Hans Christian Andersen writes very visually and very cinematically. The images just kind of leap off the page. I thought, “This could really make a great movie. I wonder why they’ve never done this.” Then, as I got through the story I realized maybe part of the reason is that it’s a very, very sad story. It kind of starts sad and then it gets sadder. Then she dies in the end. Partly because Disney had “Splash.” They were working on a sequel to “Splash” which they never actually made. So they gonged it. But I gave them the treatment anyway and the other treatments. A couple days later, I got a call from Jeffrey Katzenberg. He went through the different treatments. Then, he said, “Michael and I looked at this ‘Little Mermaid’ thing and we think it’s really good. We want to do it. We want to put it into development,” which I was very excited about because I was really depressed when it got gonged. One reason I love this movie is the traditional, hand-drawn animation. JM: Growing up, I was always a fan of this animation. I drew my stuff. In college, I was a cartoonist at The Daily Northwestern. So I draw myself. I was an animator. But basically, I went to Northwestern to major in English, wound up in college for two years. Studied animation there. Came to Disney. My first week at Disney was the week that “Star Wars” came out. But anyway, I got to learn from Eric Larson, who’s one of the “Nine Old Men.” He was sort of the mentor for the younger animators. Literally, you would take your animation to him and he would take a piece of paper and draw, show you how you could improve the acting and the timing and the phrasing and staging and all that sort of stuff. It was really a craft that was passed on from one to the other. But as a kid, certainly, the Disney animated films seemed more vivid to me than a live action film. There was something about the caricature element, I think not only are things sort of bigger and broader but you can get to the essence of things. So it really had a very strong appeal. I saw “Sleeping Beauty” when I was like 6 years old at the Mercury Theatre. Then when I came to Disney I was in the company of these wonderful artists. People like Glen Keane, like Mark Henn, who were brilliant animators who could really bring these things to life. Watching it, it was a magical moment always when you see the first animation come to life, like when I saw the first animation on Ariel or on Sebastian or the Genie when we did Aladdin. It isn’t a drawing anymore. It’s a real character. You started treating them that way. Even the animators get protective with their characters. “My character wouldn’t do that.” “Sebastian wouldn’t do that.” They’re all grounded on recognizable human behavior identified through your reliability. The medium with which you tell the story has evolved over the years. I love 3D animation. I love hand drawn animation. Certainly, the big compelling emotionally evolving stories, wonderfully done in 3D. I like Brad Bird and John Lasseter. But I still draw myself since I am fond of this kind of magic trick, where you can take all this expressiveness and power of drawing and add the element of performance and time. I do feel like animated films really combine a lot of different of art forms, film-making and writing and drawing and painting, to a certain extent even sculpting. It’s a wonderful medium to work with as a craftsman because it’s such so rich and so varied and so expressive. One of my all-time favorite Disney villains is Ursula the sea-witch. So tell me about developing that character. RC: She was really a fun character to develop. I think John and I had a lot of fun with her. We had met with Howard Ashman fairly early on. We talked about the songs. Mostly, about where they might go. We talked about the witch’s song. Howard always saw the witch as Joan Collins, the “Dynasty” villain. When we wrote the script, we actually were thinking Beatrice Arthur a little bit. Then, when we went to casting, we wanted to try to cast Beatrice Arthur. Actually, I don’t think we ever got past her agent. They were insulted that we were thinking of her as a witch. I don’t think that they liked the idea. Pat Carroll then actually auditioned for the role. She did a great job. She really was just right. So that all worked out really well. Also, the other thing about the character is we developed her. She didn’t start out being part squid or part octopus. Before that, we explored her as part manta ray and part fish. Then we saw a pretty simple drawing, putting Ursula on an octopus body with tentacles. That was like “Yeah, that’s it.” That’s right. We studied octopus footage just to see how they move. There was a very kind of seductive and yet scary aspect. It’s just the sinuous way they move. So it all kind of came together. John and I, we like villains. She was certainly fun to do. 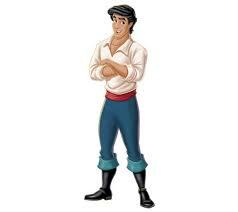 And this movie also has one of my favorite Disney princes. RC: I’m glad to hear you say that. I mean, because princes are tough. They are always tough. The toughest character to animate. That’s why in Snow White, you only see the prince at the very beginning of the movie and at the end of the movie. They’ve always kept the princes to a minimum. Same with Cinderella. Cinderella has a little better prince. But still, they’re hard to draw. They’re hard to animate. The acting is tough. A realistic girl is hard but guys are harder to do. Girls are more fun to draw. Guys are tough to draw. So it’s got to be a really good animator. Only the best animators really can do the prince. But it’s not the most fun character to animate. We really wanted him to be more of a character, more likeable and to get more of him. Even though, it’s a little bit of a kind of a thankless job. Even for the actors and the animators. It’s like it’s a tough job but somebody’s got to do it. Tell me a little bit about the challenge of underwater scenes and what that’s like for animators. 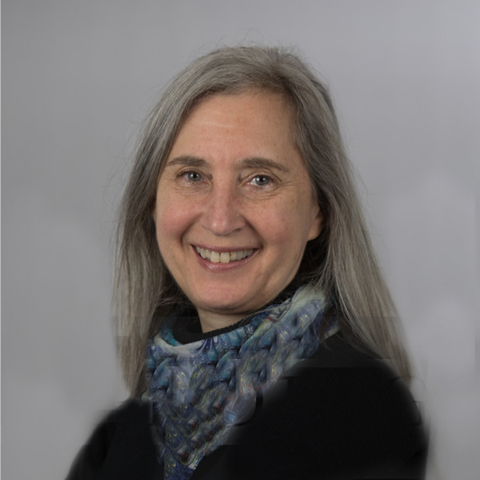 RC: When we first proposed it, we knew that it was going to be really, really challenging. I mean, for a lot of reasons. But one of the big reasons is two-thirds of the movie takes place underwater. All that requires a lot of effects animation. We have two kinds of animation in these animated films. We have character animation, the artists who animate the characters. They’re kind of like actors. We always feel they are actors with a pencil. Glen Keane and Mark Henn did Ariel. That’s what they do. Then, we have effects animators. Effects animators do the non-character stuff that moves which is like water, waves, or bubbles. Or fire or smoke or light effects, anything that moves that isn’t the character. This probably had more character animation than any Disney movie project since “Fantasia.” And it really had a lot of effects, even with the character stuff — like whenever Ariel is underwater, her hair has to move all the time. Hair moving underwater is tricky. We had a lot of meetings about hair. One of the extras in the video is some of the live action footage that we shot for reference to see the hair floating. The crazy thing is even to get the production level we want on the original film, we want some hand inking. They’ve gotten away from hand inking in fact, certainly. So we sent some of the bubbles in the movie actually to mainland China. They were inked in China. Why does this story have such enduring appeal? JM: You see at the heart of it, “The Little Mermaid” is the father-daughter story. It’s an overprotective father. There’s a daughter who is kind of adventurous and rebellious and wanting to see a new world. How do they resolve that? That story is still in place today. I am very excited about “Jerusalem,” a spectacular new 3D Imax film about the city called “the gateway to God.” Exquisitely beautiful cinematography and immersive 3D effects bring the audience inside the city, from its thousands-year history to its religious heritage and spiritual significance, its splendor and beauty, and its modern-day families, schools, and businesses and restore a perspective warped by too many news stories about violence and bigotry. Three young girls, one Christian, one Muslim, one Jewish, show us their views of the city, their love for the city, and their hopes for the city. The movie is showing now at the Museum of Science in Boston and I will keep you updated on opportunities to see this film on Imax screens across the country. Who would have guessed that the brightest and funniest and most heartwarming animated film of the year would not be from Pixar or Disney but Sony? And that to boot it would be a sequel, or, perhaps given the subject matter, a second helping? 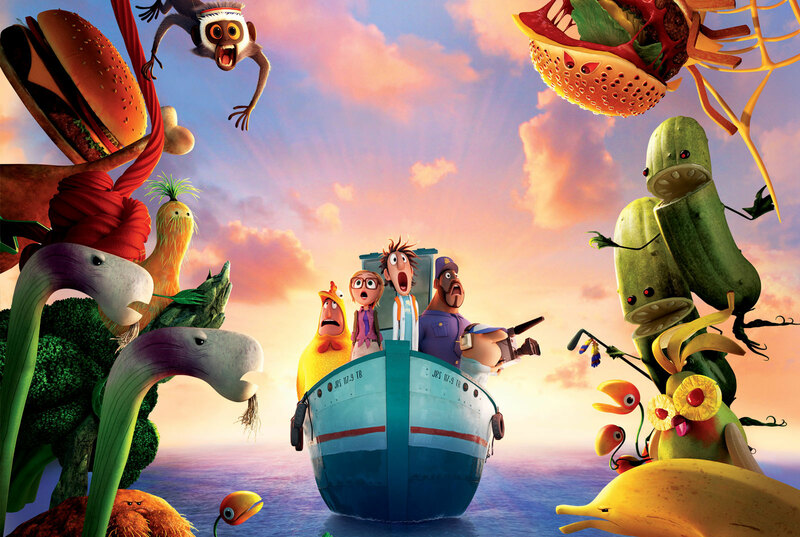 “Cloudy With a Chance of Meatballs 2” is a fresh and charming delight especially welcome after a series of animated disappointments. There’s a quick recap of the first episode, very loosely based on the 1970’s children’s book classic . We are reminded that would-be inventor Flint Lockwood (Bill Hader), who lives in Chewandswallow, created a machine called the “Flint Lockwood Diatonic Super Mutating Dynamic Food Replicator” (FLDSMDFR for short) that turned water into food. But things got out of hand and the town was deluged with food until he saved the day by turning it off. Flint’s scientific idol, Chester V (Will Forte), has invited Flint and his friends to California while they clean up Chewandswallow. Like Flint, Chester has a simian sidekick. Flint has the monosyllabic monkey Steve (Neil Patrick Harris). Chester has put a human brain inside the brain of an orangutan named Barbara (“Like a terducken!” she says brightly), voiced by Kristen Schaal. Barb has an exquisite manicure and hairdo and a firm insistence on not being called a monkey. She is an ape. At first, Flint is hesitant to put on hold his plans to create a lab on the island for his friends, especially meteorologist Sam Sparks (Anna Faris). But Sam knows what it means to Flint to get a chance to work with Chester, so she encourages him to put the plans for the lab on hold. Sam, Flint’s fisherman dad Tim (James Caan), the Chewandswallow police chief (Terry Crews), and their goofy friend Brent (Andy Samberg), all move to California and Flint goes to work in a facility that looks like a tweaked version of the Googleplex with coffee always within reach and caffeine patches on request. But then it turns out that the FLDSMDFR is somehow working more damage than ever, now producing weird combinations of food and animals — foodimals — with hilariously preposterous visual and verbal puns. There’s the shrimpanzee, the hippotatosaurus, the susheep, and the taco-dile, along with other delicious mash-ups. Chester sends Flint to shut it down, swearing him to secrecy, but Flint tells Sam and ends up taking the whole gang back to Chewandswallow with him. A few mild quibbles — it would be nie in a movie about scientists to have some actual science used in the problem-solving. And after a movie in which adorable marshmallows and strawberries and even cheeseburgers are cavort so endearingly, parents may find it even more difficult to persuade picky eaters and tenderhearted types to eat their dinners. But there’s a very sweet storyline about the importance of friends — having friends and being a good friend, and a nice aspirational moral about making the world better — and the pure silly fun of a group of animators outdoing each other with escalating puns that range from the outlandish to the almost-but-not-quite unforgivable. Not once, but twice, there are jokes about a leek in the boat, and it is funny both times. Lines of dialogue lie “piece of cake,” “we’re toast,” and “this is bananas” are punctuated with visual counterpoint. And a bright “New” song by Paul McCartney gives the soundtrack as much sunshiney as the adorable creatures and cheery humor. Parents should know that this movie has some mild potty humor and comic/cartoon-style peril, most shown to be not scary. Family discussion: Why was it important for Flint to apologize? How was he affected by being bullied? What does Barb learn about Chester? Which one of Flint’s inventions would you like to try? Do you have an idea that could change the world? I love the story of how you originally were cast in the role. I was in the Broadway musical called “Smile” with Howard Ashman and Marvin Hamlisch around ’84 and ’85. When the musical shut down rather quickly, Howard was in the middle of pre-production of “The Little Mermaid”. He was kind enough to invite all the girls in the cast to audition for the movie because they were looking for actresses who could do their own singing. I’d never been in front of the microphone like that. I’d never done voiceovers so I just kind of went in, created what I kind of thought she would sound like, saying a little bit of the song. A year and a half later my tape was selected. So it was just a huge, huge surprise and a huge blessing. What did they tell you about the character? Basically, there was a little thumbnail sketch. We had most of the script. Then, they just said that she’s headstrong. She’s tenacious. She’s passionate. She has a lot of drive. Between the dialogues that they had and a little bit of the pencil sketch, I just kind of went in and started going for it. But directors Ron Clements and John Musker and Howard Ashman were there. They were just directing me all the way until they got exactly what they wanted. Do you feel that there’s always an element of acting in any song? Absolutely. Yeah. I mean, it is. It’s a story song. “Part of Your World” is definitely a story song. That part of it is what I love. I love any kind of story song that way. That focuses so much on the music and the notes per se as just really trying to create a feeling for the character. Howard was just brilliant at doing that. 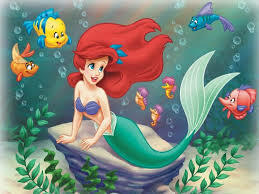 The traditional Broadway structure which is used in this movie is that ten minutes into it, Ariel sings a song about her dream. That really kind of what sets the whole story going. Absolutely. It’s beautiful when you have that ”I want” song. Howard would say, “You want to root for them. You want everything to work out for them when you hear what their heart is and what they’re trying to describe. Getting to record “Part of your World” with Howard there at my side I was in such good hands because he had already laid down the demo. He knew exactly what he wanted and what would work. It’s very different than singing it on stage or in a Broadway setting. So we just try to create a much more intimate feel. When you were interacting with the Sea Witch, were you in the same room together? Or were you separate when you were recording? The first day we recorded all together. We did a read-through together with the cast. Then, we all recorded together with plexiglass in between us, which was really smart on their part. Because you got to react off of each other. You got to play off of each other as if you were on stage. The second day on, we were separate and would go one-on-one. But you already done all that work and you kind of knew in your mind and in your ear, you could hear what the other character had already brought to the table. So that was really, really helpful. Unfortunately, we don’t do that anymore. But that was really great for our project. When your family watches the movie, what do they think about it? Oh, they love it. My kids love it. We just got back from Walt Disney World and riding the attraction. It’s just amazing. We’re all so blessed, so thankful and just incredibly thrilled that it has such great longevity. I would have never guessed that this job would be the job that just keeps going. It’s wonderful. Just really wonderful. What is it about this story that makes it just so enduring, so touching? It’s a classic fairy tale. Ron Clements really twisted the end and there was a great team over at Disney. Just adding the element of Howard. Howard was genius. They were so smart to bring him in and to create this music to add to it. Every element came together perfectly. It was at the right time. It was really at the right time for the studio. I just think the longevity of it in getting to enjoy it as a family is just great. I think introducing it is pretty special for a family member to say, “I grew up with this film. This is how I felt about it. I’m so excited to share it with you.” I think it makes it really cool for families to get to do that together. And you are Ariel in the theme park attractions, right? I’m Ariel everywhere. So it’s good. She’s an ongoing character. It’s an ongoing job, an ongoing voice and I’m thrilled. SoulPancake has performed a heartwarming experiment that proves a surprising path to happiness. Watch it; I promise you’ll be grateful.